Truly, last week was not so much about art or programming as it was testing. We really want to get the balance right this time, so we’ve decided to play through the game at least once per skill, giving each of them chance to be the main skill in a playthrough. It’s truly a challenge to tweak the numbers to make them mathematically balanced vs each other, without losing the soul of each skill. Because the game is already quite a few hours long, and we want to make sure each skill scales well as the play progress through it all, it means A LOT of the work week has been spent “simply” playing the game over and over, taking notes on how each skill feels at various points of the game. To our aid, Teddy has made a number of shortcuts, i.e. we can now walk through walls to skip certain puzzles. That’s basically the only skip we use, though, as we still want the level and gear to be as true to a real playthrough as possible. With each skill completed, we’re getting close to evening them all out, and right now most of them feel a lot more powerful than they did previously. Chain Lightning will get a slight rework. Instead of seemingly randomly jumping to any enemy within a cone-shape before you, the skill will now favour the enemy you’re looking straight at (though if there isn’t one there, it will jump diagonally still). The main target will then take a bulk of the damage, leaving less damage for secondary targets the lightning then jump onwards to. We hope that by making this change, the skill will feel more satisfying to use, as you can select which target you want to kill first rather than doing rather underwhelming damage to a bunch of them. Balancing skills between Story Mode and Arcade Mode will probably be one of the biggest challenges during this rebalance period, as the modes are so vastly different from one another. In Story Mode, it’s rather unlikely you’ll ever be as tightly surrounded by enemies as you tend to be in Arcade Mode, which means some skills will work a lot better depending on which of the modes you’re playing. We’re trying our best to balance this without having to change any of the skills EP cost or damage in just one mode. And in other news, we’ve decided to make respeccing a lot cheaper than it currently is. 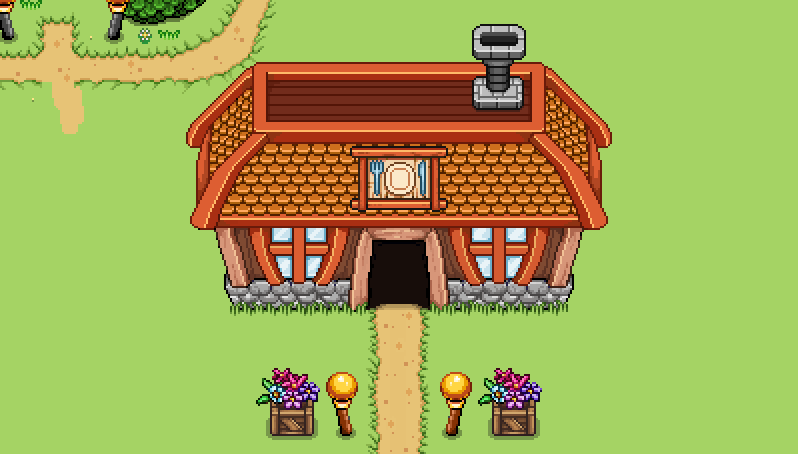 For a while we considered making it free, but we feel a low cost will give the player a bigger sense of impact as they level skills, compared to if you could just change things around free of charge at any time! Hopefully, our great rebalance will draw to a close this week, as we all have looking forward to taking a week’s break from 4th and 8th September, just to recharge the batteries before the great long autumn and winter rolls over Sweden. Finishing the patch up just before then would be ideal, as we would be able to return a week later and go through all the accumulated feedback. Fingers crossed! 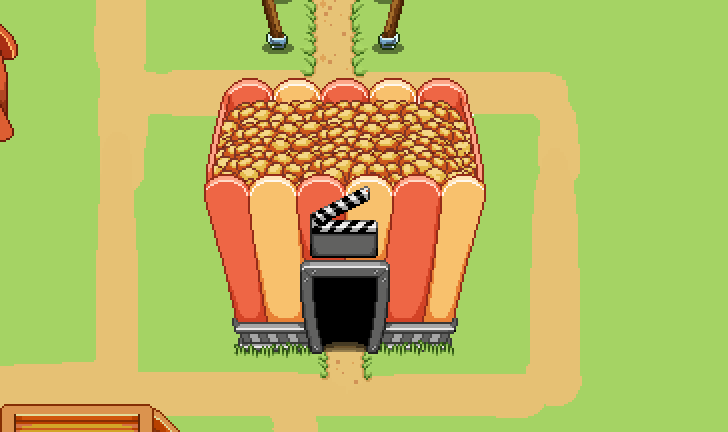 Now, as more stuff is added to the new revamped version of Arcadia, it’s time to create the Cinema! While we’re still not completely sure this will be available at the end (it kind of depends how well we can solve some of the issues with the mechanics), for now we’re fairly sure we want it there in some shape or form. Some grasp the mechanics of Grindea almost immediately, others struggle to land a perfect guard for the whole of the game (so far). 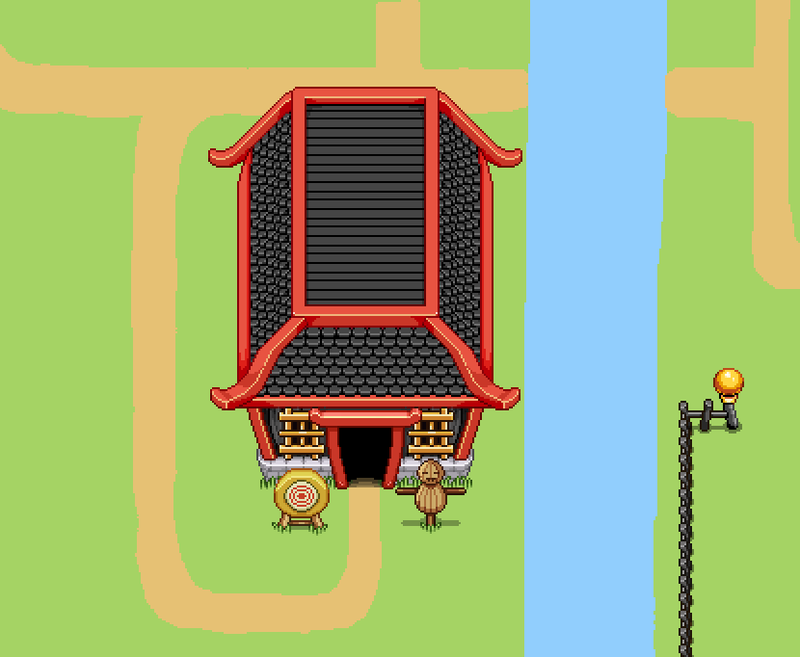 To help the latter ones along, and add a challenge to the ones who think they’ve mastered the fine art of the shield, we’re adding the Dojo! In the Dojo, you’ll be able to practice perfect guarding against different sets of enemies, earning headbands in different colors to show at which level your perfect guarding technique is currently at. This mechanic might (likely) be added to Story Mode as well once it’s been implemented, making sure everyone has a chance to practice perfect guarding and becoming masters of the shield! 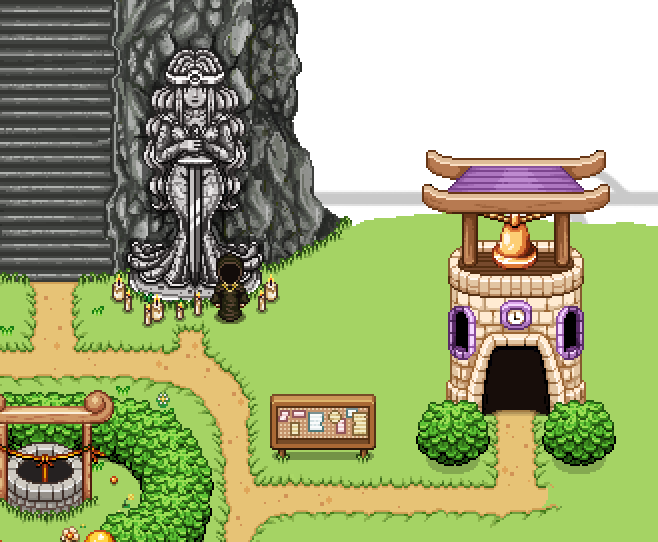 The theme of the left side of the map is more tranquil and nature-y than the rest, as we’ve decided to put most of the decorative spots in this part of the map. 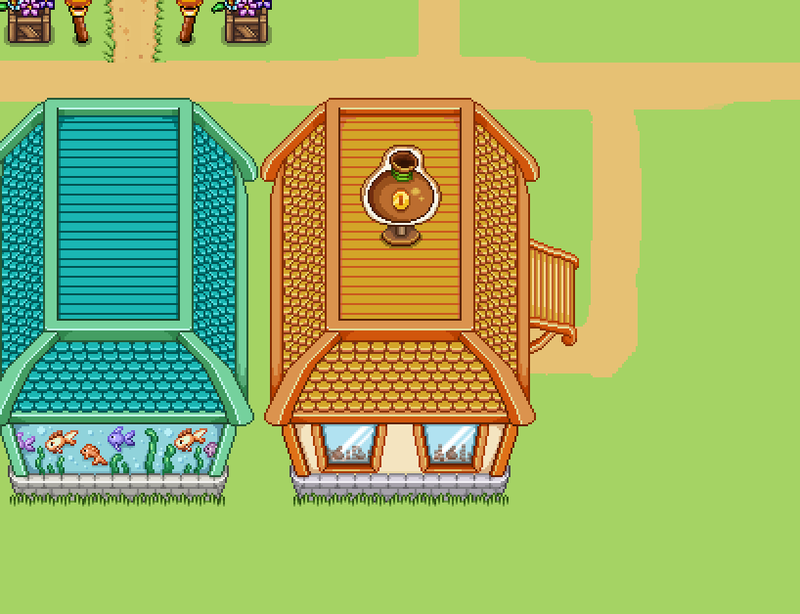 One of these is a small garden with a fountain, which serve to bring more people into town (and more people equals more quests)! We’ve also been playing around with Titan’s Throw, which hasn’t seen a lot of use very likely due to the fact that you throw your weapon away and won’t be able to use it until you pick it up again! As mentioned in a previous post, we’re adding the ability to get your sword back by holding the skill button for a short while (seen above). Again, if you’re close enough to hit the enemy with your want, it won’t unleash the orb but your want will do a bit more damage than the orb itself would. So whether you’re into close combat or battling ’em from far away, there’s pro’s and cons to both options! So, initially we kind of had hopes of having the patch up and running already. The skill changes have all been made and are fully functional, but we realized there are some more things we want to test and some things that need to be fixed before we’re satisfied enough to hand over rest of the testing to you guys! First of all, Teddy is now working on improving the player experience when playing games with high ping as we realized some of the changes we made to the combat made things desync more than we’d like in high ping situations. Of course, it won’t be possible to make it 100% awesome if you happen to play with someone really far away or with a bad internet connection, as some desync in those cases simply can’t be avoided. However, there are things we can do to improve the experience and make it feel more smooth to play, even when it’s having difficulties. In other words, this needs quite extensive research and several playthroughs with different sets of skills, to make sure it’s as balanced as possible. We also need to consider what gear is available and how strong the enemies are, and make adjustments accordingly. Already, we’ve noticed some not-particularly hard to get items give the player quite the boost with these new edits, so we’ll have to nerf a few of those to make up for the increased strength of the skills. It’s hard to tell how long these tests will take, but hopefully we’ll have the new patch up and running within another week or two! Until then, I’ll focus on more Arcadia stuff and testing these things out! Speaking of Arcadia, we continue with adding new buildings to its rework! 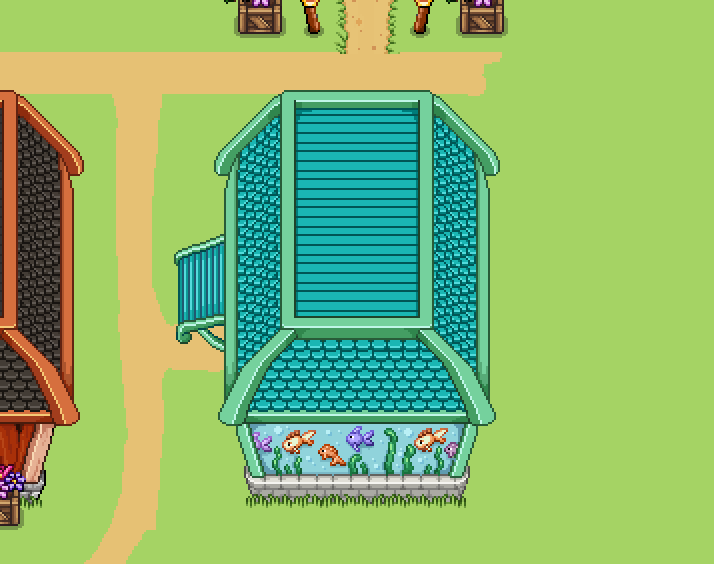 Here’s another that weren’t available in the old version of the town: the Aquarium. 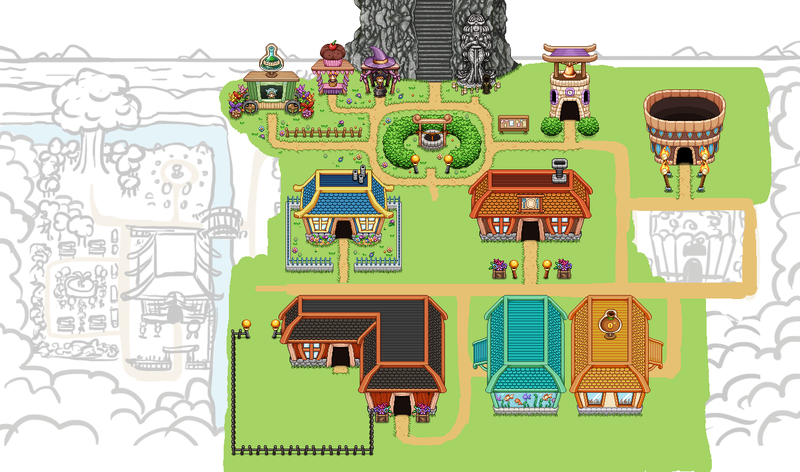 This place will help bring more inhabitants to your town, as well as housing a display of the fishes you’ve caught on your travels inside. 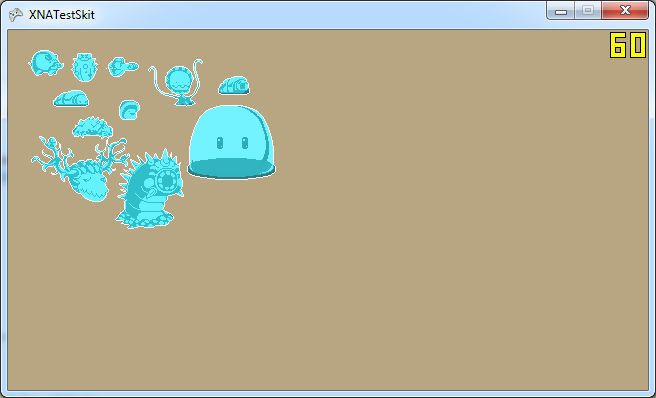 The ice skills, or rather the Ice Nova and Ice Spikes, will both be able to chill and freeze every enemy on the game! Previously this was reserved for regular enemies, but now they’ll affect bosses as well, drastically improving the skills which have been rather underwhelming against bosses before. Visually, a frozen enemy is tinted blue and becomes shiny, the frost and snowflakes remaining around it. There’s an increased chance of landing crits on frozen enemies, but they will only remain frozen for a short period of time or until you’ve hit it 3 times with regular-damage attacks or once if it’s a hit with bigger impact (such as the final hit of a gold-charge Heroic Slam). We’ll balance this with a damage reduction instead, and if we still feel it’s too OP we might still do the full nerf with no damage while moving. Our initial idea with Flamethrower was that positioning would be key to use it, and being able to move and do damage at the same time kind of takes away from that, which is the reason we wanted to make this change to begin with (aside from the skill being too OP, especially at silver level, compared to others). Hopefully this compromise will keep the fun feel of the skill while not making it too crazy good. It’s always difficult nerfing skills in any game because when you’re used to a skill being really OP, it typically also feels really great using it. Using such a skill after a nerf will of course cause some disappointment, but hopefully the game will be better and more balanced overall after some of these have been made. Next, there’s been some additional graphics added to the Smash and its new ball! Each time you hit the ball it changes color and does more damage. After three hits it’ll disappear, so you have to summon it anew. We’re still fiddling around with the arrow indicating which way the ball will go, and the graphic is likely to be changed again, at least slightly. We’re listening to all of your feedback on our changes thus far, and it’s no secret Smash is the source of a lot of discussion. We’ll continue on this path for now, finalizing this version of the skill and uploading it with the rest once they’re done. Once you can try all the rebalanced skills all at once we’ll see how things turn out! There’s still a possibility Smash might get scrapped altogether, it all depends on what you guys feel when it’s all patched and ready for testing. Still some way to go, but it’s starting to come together. 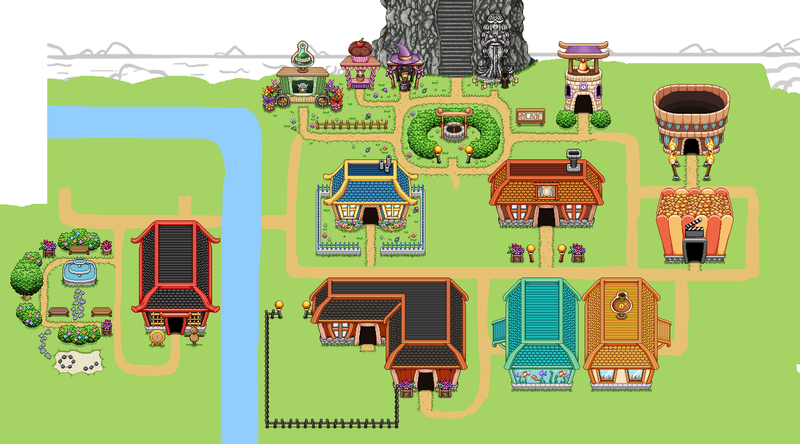 With this, all the houses in the starting area have been finished, only missing the proper paths and decorations. 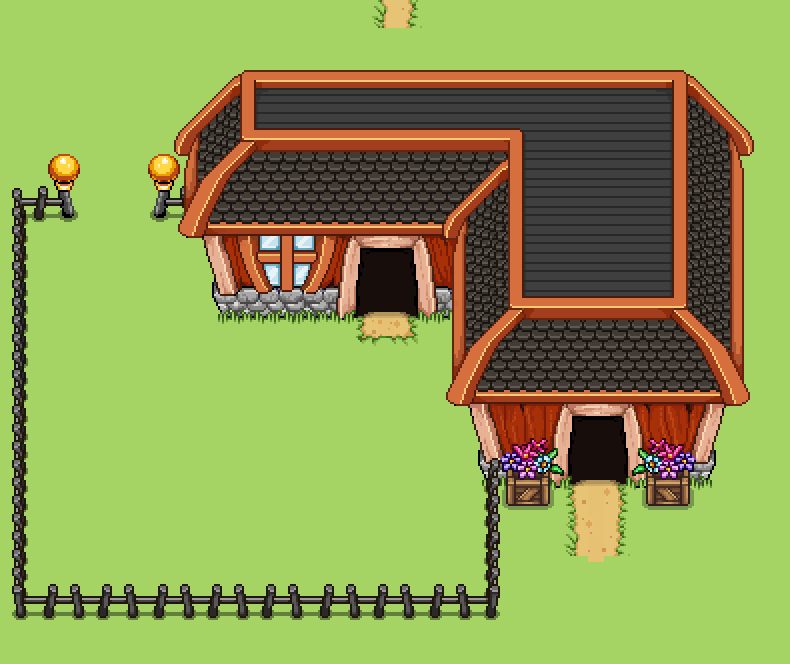 The farm is the first building on one of the unlockable plots, meaning technically I could finish up the first part and add it to the game. 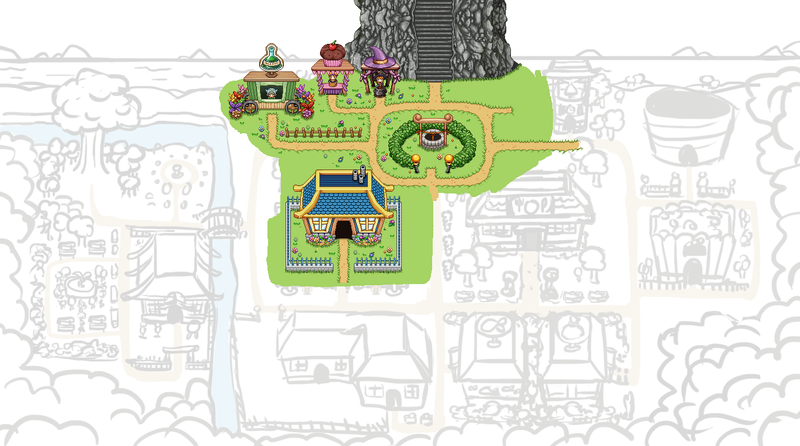 However, since we want to make sure all the distances and stuff work out, I’ll complete the rest and make adjustments accordingly, before finishing up the area with more decorations and pathways. As mentioned before, our next main goal is to do a complete rebalancing of the skills in the game. This includes making bigger changes to some of our old darlings, such as Smash. Smash has been kind of difficult to use since hitting the first enemy does not do a lot of damage: it’s smashing it onto others that’s the main source of epic damage. However, in some cases this isn’t exactly easy to do. In fact, most of the time it probably isn’t for most people, unless they’re in a very crowded area. If you’re facing few enemies, it might be hard to aim where the first one will go, making it near impossible to optimize the damage. Against bosses, the skill has been more or less useless. So, how do we change this? I’d lie if I said we haven’t considered replacing the skill completely, and I suppose it might still happen. However, our first try will be to improve aiming and giving you something to use against bosses or in those cases where there simply isn’t enough enemies. In the first one, a set of dots appear behind the ball, indicating where it’s going, including how it would bounce off walls and the like. 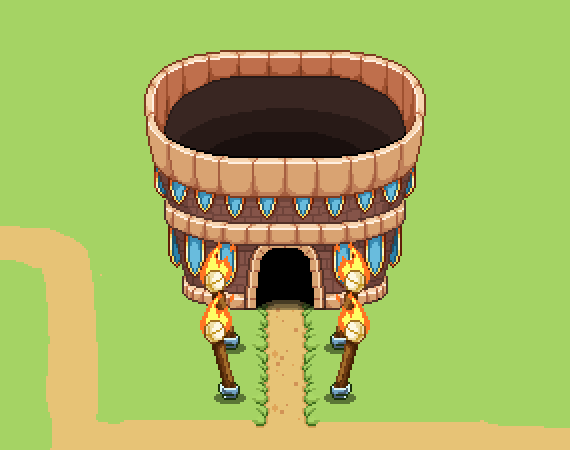 Below, there’s a second version, using a more cone-like shape. It’s important to remember that both of these indicators use placeholder graphics, and that in the end, regardless of which one we pick, it’ll look more fitting to the game. As it is, we feel the second one has better potential of having a clean look, so it’s probably the one we’ll go for. Hopefully these additions to the skill will make it a little more fun and useful. Otherwise, it’s probably back to the drawing board for this skill! Dodging Strike will get increased damage, and synergy with Reaper’s Blade (the new utility skill). A Gold Charge Dodging Strike will now automatically cast Reaper’s Blade on the target in front of you: level one by default, but if you put more points in the skill it will automatically use the level you have it at. Piercing Dash will have its damage improved slightly. Shadow Clone will be automatically nerfed as we lower the damage one 1-handed normal attacks, but it’s likely we’ll lower the base damage of this skill even further. Smash will be changed, as you’ve already seen. A ball will spawn when charging the skill, giving you something to hit enemies with for maximum damage. For Titan’s Throw, we’ll add the option to get your sword back by channeling for a short while at bronze level. Right now, you have to pick the sword up manually until you get the gold charge, but we felt this has been limiting this skill a great deal. So instead, you’ll now be able to get your sword back from the beginning, though it won’t deal damage to enemies on its way back until gold charge. The Fireball will have increased speed, a graphic update (part of which has already been shown), and a more polished on-hit effect. For the Meteor, we’ll increase the damage, and add more aoe. You will no longer be able to damage enemies while moving, using the Flamethrower. If you start moving, the flames will die down until you stand still again. Frosty Friend will have a cap of how many enemies can attack him. 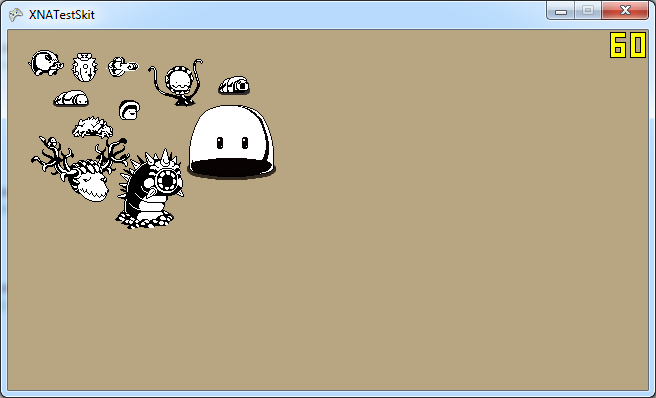 On the first level this will be a single enemy, but with each charge level he’ll be able to occupy one more enemy. This is to make sure he won’t be a complete meat shield, distracting all the enemies at all times. Instead, he won’t be able to die when shielding. The Ice Spikes and Ice Nova will get a damage increase. As mentioned last week, you’ll also become able to chill and freeze all enemies (including bosses) with these skills. Summon Plant‘s melee plants will have increased range, while the ranged plants will have less range. Chain Lightning will get increased damage, possibly decreased range. Static Touch will likely remain unchanged, but we are discussing whether to make a change so that you collect the cubes by battling, and by keeping on battling enemies they will get more and more charged. With this change you’d either be able to unleash the cubes upon a single enemy by using the skill again, or they’d be unleashed automatically when they’ve reached max charge level. Again, we haven’t decided whether to actually make this change yet, though. There may be more changes than the ones listed above, but these are the ones we’ve discussed so far. As each skill gets its makeover we might have to adjust the others more. Meanwhile, in the Arcadia Rework we finally get to the part with the Player house! 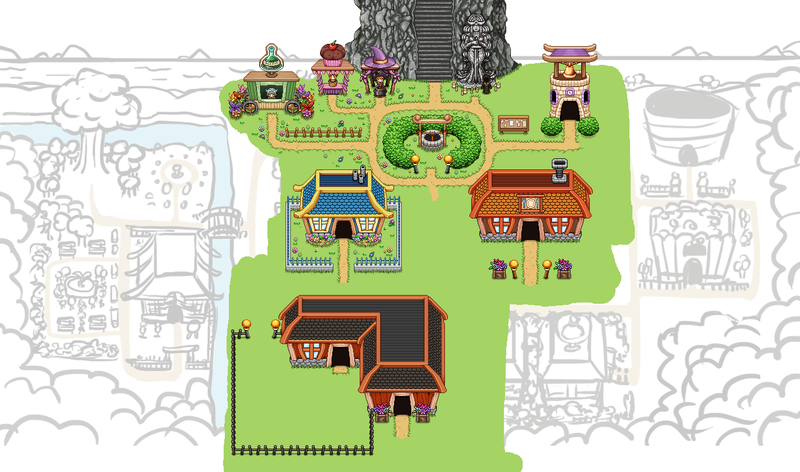 This is especially important since we want to use what we make here in Evergrind City (for Story Mode) as well! 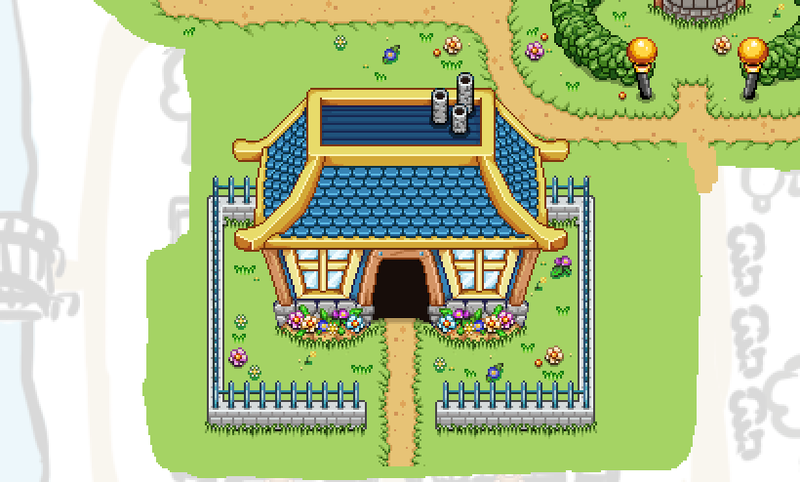 In this first part I’ll begin with the house itself, and make another, shorter video later featuring the immediate surroundings. The colors I selected were based on the Collector color scheme, which is blue and yellow. Seeing as the technology behind the house is designed, developed and used by collectors, we though these were fitting colors. 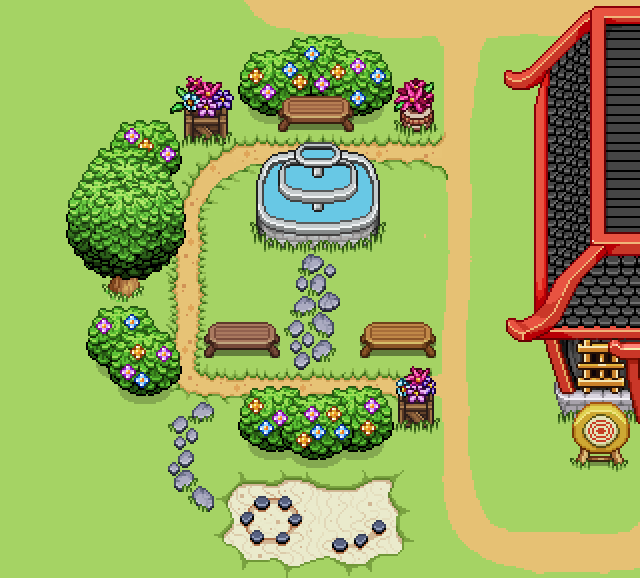 Next, it’s time to add some much-needed decorations around the area!